The biases men have towards women at work not only impact workplace culture but our society and economy as a whole. 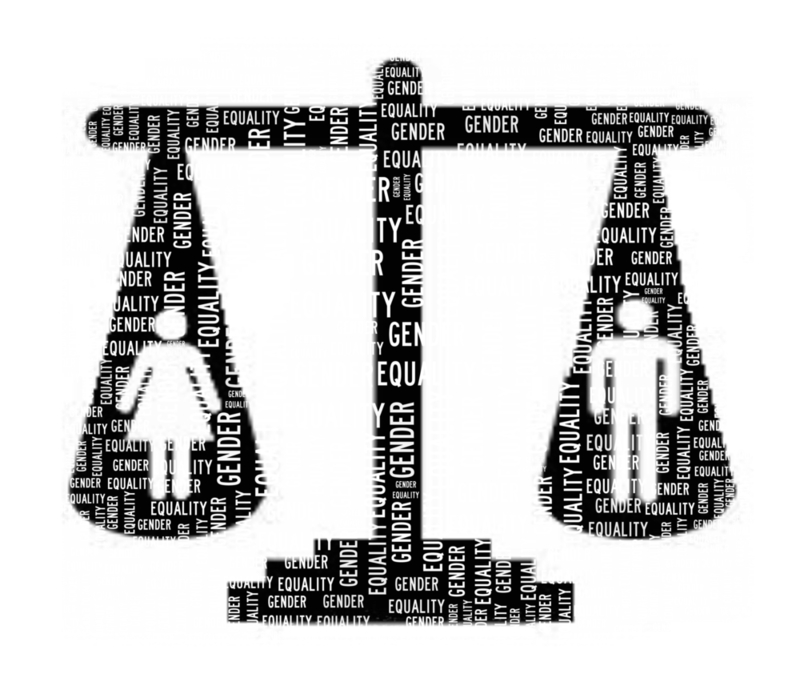 In this article we explore how men can recognize their biases and work on addressing them. Recently someone pointed out to me that it’s easy for me to find success as a marketer. In addition to my skillset and experience, being a white male allows me to shamelessly promote myself and generate a quasi-noisy level of buzz. My skills are an extension of my brand. There isn’t anything fundamentally wrong with this. On the flip side, consider women in marketing. When I try to think of successful women in my industry who are gaining traction and getting the same level of attention as say, Noah Kagan or Neil Patel, I’m hard pressed to generate a long list of contenders. The top-ranking 2014 list of ‘29 Expert Marketers You Should Follow on LinkedIn and Twitter’ includes seven women. The upcoming GrowthHackers conference has three women speakers. Marketing may just be the next industry to be called out on the popular ‘Congrats! You have an all male panel’ tumblr. It isn’t that marketers and PR strategists who happen to be women are not doing impressive work. Take Selena Soo, Joanna Wiebe, Kristina Halvorson and many others who have built world-renowned content and brand strategy companies. I’m noticing that these women have a totally different approach to marketing than the guys I’m most familiar with. It’s not about them. Or maybe it is but it’s less obvious? That’s precisely why we’re all most familiar with these guys – not to mention the fact that our cultural expectations around how men and women should work, conduct themselves professionally, and demonstrate capabilities tend to favor us males. How much of the barriers for women in marketing are due to men simply being able to approach their work with an assumption that others perceive them as successful? How many of these barriers for women are because of our media, our policies, our cultural norms? Every day we make countless decisions under the influence of our assumptions, beliefs, social stereotypes, and interpretations – or biases – without realizing them. This is how we operate with unconscious bias. In business, this tends to color our hiring as well as strategy decisions. This costs US companies billions in employee turnover and creates countless workplace tensions. It’s also what makes it so easy for us guys to promote ourselves and each other. “We all have the power to participate and contribute. The ability to be visible and be heard often only goes as far as the receiving party’s biases, unfortunately” says Corey McAveeney. Being part of Customer Success at the startup Culture Amp, an employee feedback and analytics platform, McAveeney sees the impact of raising awareness around issues related to culture, most notably efforts around diversity and inclusion. “Once we’re aware of our biases we start to make changes to our behavior” notes McAveeney. If you’re skeptical that biases are so prevalent, consider the Yale University study where participants rated men higher than women in terms of competence and employability – even when they had identical qualifications. This is one of many such studies out there. Our assumptions and beliefs are also a reflection of the current norms and increase the number of obstacles leading to progress. With relatively fewer women seen headlining marketing and PR (when there are so many women in the industry in general), women’s unconscious beliefs about career advancement could be holding them back from “promoting” themselves as being the best in their game. This has been an active discussion that has spurred many initiatives across various industries but I never thought of marketing as suffering from this as well. We live in a culture where women in general and specifically in tech (not just marketing) are discriminated and marginalized. As a result, our economy, our society, and many other aspects of our lives suffer from it. Are you still thinking “Nope. I don’t have biases.”? You’ll be surprised to learn just how implicit our biases are. Check out Harvard University’s online Implicit Association Test (IAT) that reveals some of our biases towards people and ideas. The Atlantic covered this topic in Why Is Silicon Valley So Awful To Women mentioning that unconscious bias training has emerged as a ubiquitous fix for Silicon Valley’s diversity deficit. It’s also viewed as quite controversial, as the outcomes can backfire. Joelle Emerson, Founder and CEO of Paradigm recommends taking a closer look at your training program in this Harvard Business Review article, Don’t Give Up on Unconscious Bias Training – Make it Better. Evaluate your internal conversation – Review your personal story and analyze who you trust in the workplace and why. We often fabricate a story based on our perspective about others but having empathy can help us develop a more positive approach to understanding other’s experiences. Think inclusion – When hiring or promoting, look beyond those who look like you in terms of age, gender, ethnicity or academic credentials. Create a step-by-step process when making decisions that will make you more accountable. Look for shared goals – This works on biases motivated by our hidden negativity towards those who seem different–like women in male-dominated tech companies. Break it by focusing on similarities or shared goals. Textio uses data and machine learning to scan job postings and flag words or phrases that are likely to repel women. GapJumpers hides résumés and other identifying information, including gender, until job applicants take a test to assess their skills. Blendoor lets candidates see how a company rates on diversity; while recruiters can see a person’s skills, education, and work history, but not his or her race, age, and gender. If you have a brain, you will be biased – towards your own capabilities and that of others. For many people it is more difficult to get ahead in professions that continue to carry decades of exclusion. What have you experiences have you faced in regards to unconscious bias and microagressions at work? How have you handled situations that people generally avoid due to our natural aversion to uncomfortable situations?